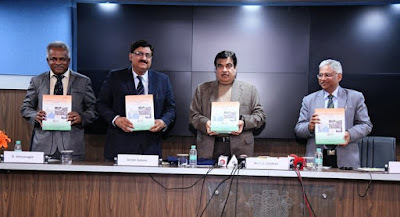 The Union minister Nitin Gadkari released country's first ever Highway Capacity Manual (HCM) which will guide road engineers and policy makers about road expansion. The manual known as 'Indo-HCM' has been developed by CSIR-CRRI on the basis of an extensive, country-wide study of the traffic characteristics. The traffic characteristics are based on different categories of roads like single lane, two-lane, multi-lane urban roads, inter- urban highways and expressways and the associated intersections on these roads. The manual lays down guidelines for when and how to expand or manage different types of roads and their intersections and the level of services to be put in place. It has been developed based on the unique nature and diversity of traffic on Indian roads. While countries like the US, China, Malaysia, Indonesia, Taiwan developed their own Highway Capacity Manuals long time back, this is the first time that the manual has been developed in India. The manual would help in the scientific planning and expansion of road infrastructure in the country. The manual comes at a time when the government is undertaking an ambitious road network programme called Bharatmala to add 35,000 km of new highways with an outlay of Rs5.35 trillion over the next five years. What is a Highway Capacity Manual? The Highway Capacity Manual (HCM) is a publication of the Transportation Research Board of the National Academies of Science in the United States. It contains concepts, guidelines, and computational procedures for computing the capacity and quality of service of various highway facilities, including freeways, highways, arterial roads, roundabouts, signalized and unsignalized intersections, rural highways, and the effects of mass transit, pedestrians, and bicycles on the performance of these systems. There have been six editions with improved and updated procedures from 1950 to 2016, and two major updates to the HCM 1985 edition, in 1994, 1997 and 2015.